I know this doesn’t technically have anything to do with NC spirits, but it’s election day and we need all the good stuff we can get, right? 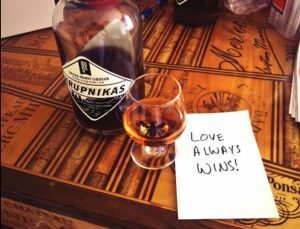 I also think it’s an important day in history, especially for us that either love to imbibe or are in the business of spirits. 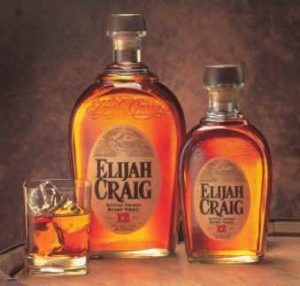 227 years ago, on November 8, 1789, Elijah Craig distilled the FIRST bourbon whiskey from corn, in Bourbon County, Kentucky. Have a couple of fingers and a cube and enjoy! Posted on November 8, 2016 November 18, 2016 Categories Spirits, Spirits EventTags bourbon, Elijah CraigLeave a comment on Happy Birthday Bourbon! 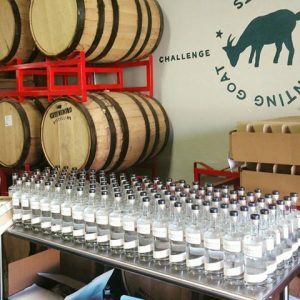 All that beautiful vodka being labeled and packaged only means one thing….. more vodka for North Carolina. 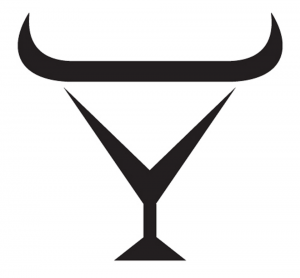 Look for the guys at Greensboro Distilling Co., Fainting Goat Spirits to be on Sipping NC soon. Liquor has been in Jeremy Norris’s life ever since he was born. As a young boy he grew up watching his granddaddy and his dad make illegal liquor. 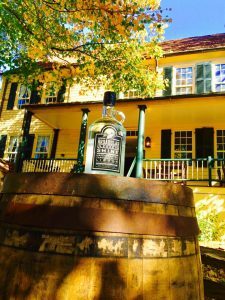 A liquor that had been passed down from generation to generation. Just like many people down in the south, liquor, or moonshine, was just something that was always around; something that wasn’t out of the norm. For young Jeremy, moonshining was just something that you did. 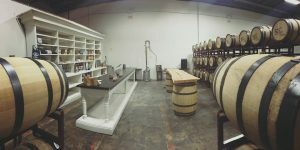 As Jeremy grew older, a passion for shine began to develop and after much thought and a lot of test runs, Jeremy opened Broadslab Distillery in Benson North Carolina. Now, I know that moonshine is popular here in the Carolinas and everyone has their favorite, but Broadslab is much more than just white lightning. As a fifth generation distiller, Jeremy has honed his craft to making one of the best spiced rum in the country. With cinnamon and vanilla notes that explode on your palate and brighten your day, Jeremy’s Carolina Coast spiced rum is one that I drink often and one that surly gives captain Morgan a run for his money. While ‘shine’ is what Broadslab’s legacy is built on, one of the stars of the show is his Appleshine. A brilliant play on the apple pie moonshine found in unlabeled mason jars across the south, the Appleshine is magical. Incredibly smooth with sweet notes of apple and cinnamon, it is simply amazing. 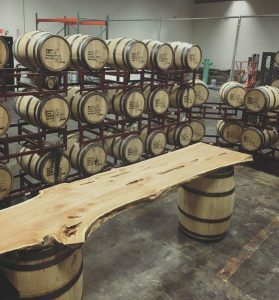 Broadslab has certainly grown since I first met Jeremy at his old distillery location several years ago. 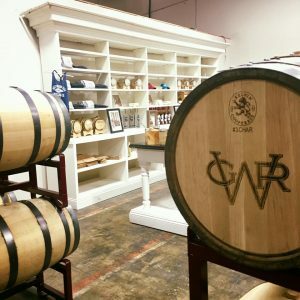 He and his family has payed tribute to Jeremy’s late grandfather and built their shop and distillery on his former property, a beautiful tribute to a man that helped make Broadslab what it is today.